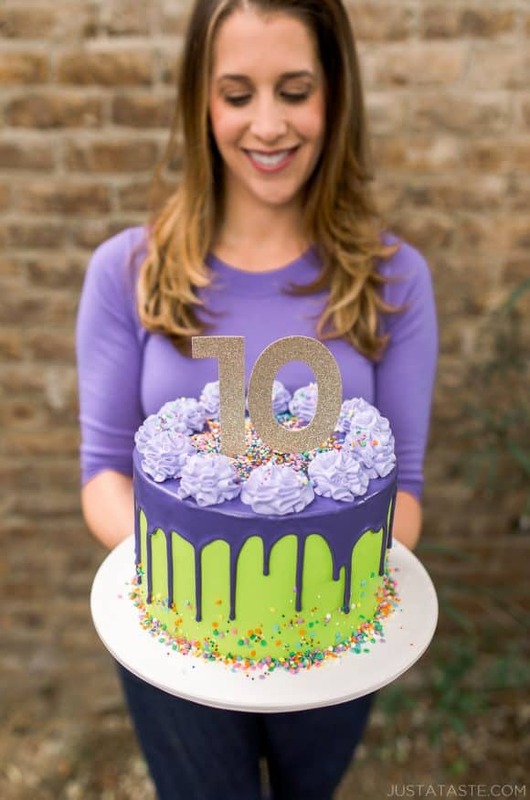 Take a walk down memory lane as we recap the past decade on Just a Taste, including how many people have visited the site and the #1 most popular recipe! It was 2 a.m. on a Thursday in October of 2008. I was up at 2 a.m. writing my journalism graduate school thesis in my New York City apartment, when on a whim, I indulged my procrastination efforts by typing up my mom Noni’s famous baby back ribs recipe. If you’d told me that I’d be writing about this very moment in a decade, I never would have believed you. But here we are. Ten years later! Many life-changing moments have taken place since I first hit “publish” on Just a Taste. The site has grown from a weekend hobby to a full-time business. In the past 10 years, more than 60 million people have visited Just a Taste from six continents across the globe. And I am thankful for each and every one of you! Add one husband, one dog and two babies to the list, and it’s been quite the eventful decade! While it’d be impossible to name my all-time favorite recipes, I can share what your top five favorites have been. Drumroll, please! 5. Strawberry Cheesecake Chimichangas: I transformed a savory entrée into a sweet treat by stuffing tortillas with tangy cheesecake filling and fresh strawberries. 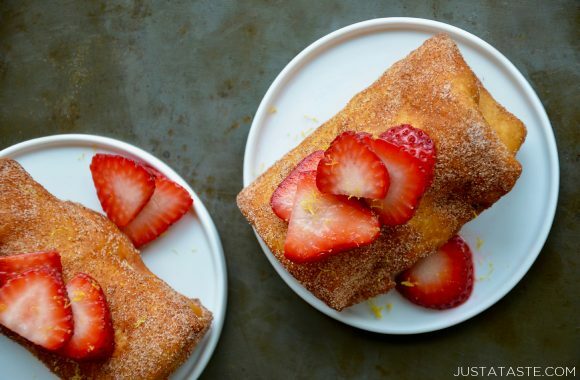 A quick fry and then they’re rolled in cinnamon-sugar for a 5-star favorite. 4. 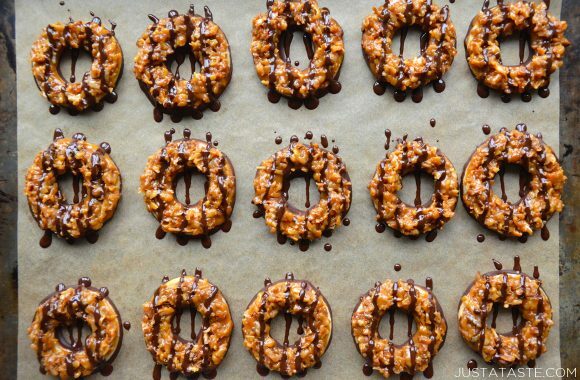 Homemade Samoas Cookies: My all-time favorite Girl Scout cookie got a DIY makeover. This recipe stars a buttery shortbread cookie topped with caramel-coated toasted coconut and a dip-and-drizzle of semisweet chocolate. 3. 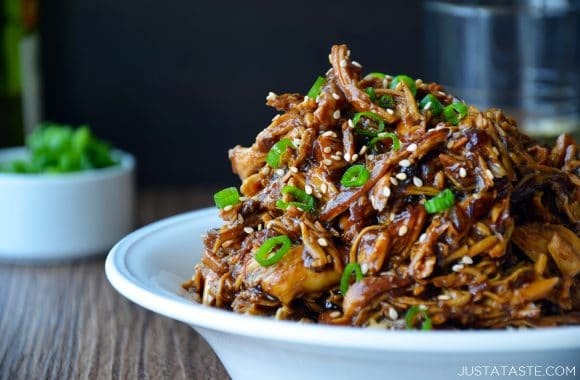 Slow Cooker Honey Garlic Chicken: This fan favorite from 2013 continues to receive 5-star ratings. What’s not to love about tender shredded chicken doused in a sweet, tangy garlicky soy sauce? 2. 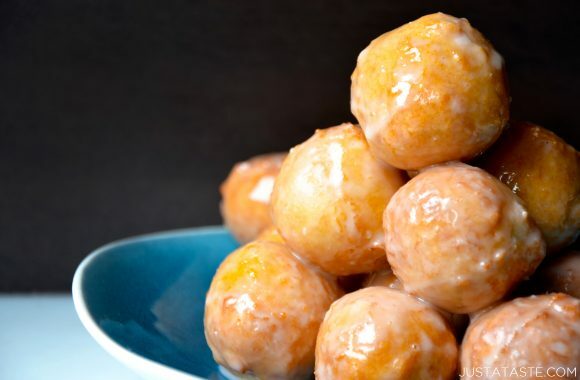 Homemade Glazed Doughnut Holes: More than 450 comments and a 5-star rating make this DIY recipe for my all-time favorite carb a guaranteed breakfast winner. 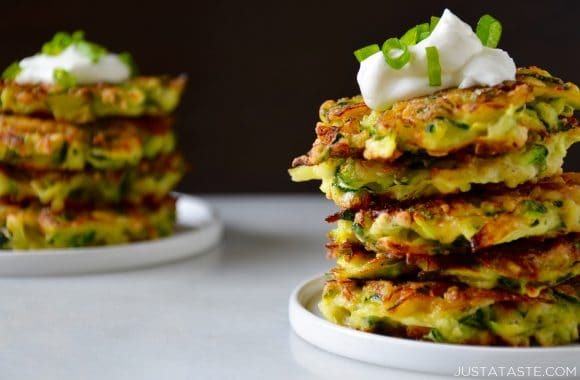 5-Ingredient Zucchini Fritters (a Just a Taste classic I cooked on The TODAY Show)! It’s easy, but impressive, which is what we’re all about around here. I feel so blessed and thankful for the journey Just a Taste has taken me on and the people who have supported me on this adventure since day 1, especially my parents, my siblings and my husband. Over the past 10 years, I’ve had the pleasure of working alongside some of the best people in the business, and I am ever-so-grateful to my social media guru and all-around marketing master, Libby Becker, my tech manager, Charles Smith of WPopt, as well as Eric Hochberger and the entire Mediavine team. 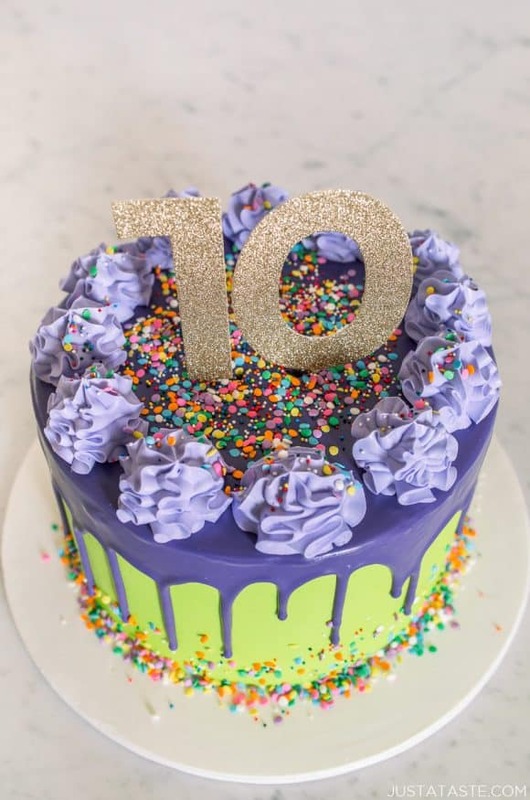 Cheers to the next 10 years and beyond!